For a small country, Israel has a lot of hotels. There are luxury hotels and simple kibbutz accommodations, spacious resorts and urban boutique hotels, rustic tzimmers and spartan hostels. Not all are worth a stay, given that a country that hosts some 3.5 million tourists a year needs a wide range of accommodations for all kinds of visitors. But there’s a recent wave of new luxury hotels and charming boutique inns offering new options of smartly designed, cushy stays that would tempt any guests, whether locals looking for a quick getaway or visitors from afar. And trust us, Israelis love their hotels, whether as a destination for a weeknight dinner, a weekend getaway or as a location for family get-togethers. These newer options range from spacious, high-rise hotels run by corporate organizations to smaller, much more intimate options housed in renovated, landmarked buildings that offer an historic commentary on their very location. Let’s start with Villa Brown Jerusalem, part of the Tel Aviv-based Brown hotel group. This is their first Jerusalem location, set in a historic 19th century stone house that was once the private home of a Jerusalem doctor and his family, located on HaNeviim Street (Street of the Prophets), a favorite address in the late 19th century and early 20th century for wealthy Christian, Jewish and Arab residents. Villa Brown is the latest acquisition for Leon Avigad and Nitzan Perry — business and life partners who have renovated and built five hotels through their Leopard Hospitality hotel group, as their company is called. With luxe velvet drapes sweeping the black-and-white tiled floor of the vestibule and dining room, claw-footed bathtubs and vintage accessories in the 24 rooms, a grotto bar dug from the former cellar well and a library with deep, cushioned chairs for reading on a rainy Jerusalem afternoon, it’s a jewel of a hotel, and as worthy of a late afternoon tea (something the locals are trying out in recent weeks), as for a week’s stay or weekend of exploring Jerusalem. There are plans to add a pool on the rooftop terrace that also houses a small, but complete spa. The boutique hotel group will also be turning the nearby Ethiopia House, a former convent, into another wing of the hotel with 18 more rooms. For more historic accommodations, head to the northern port city of Acre, where restauranteur Uri Jeremias was one of the first locals to realize the potential of historic accommodations with his hotel, the Efendi. 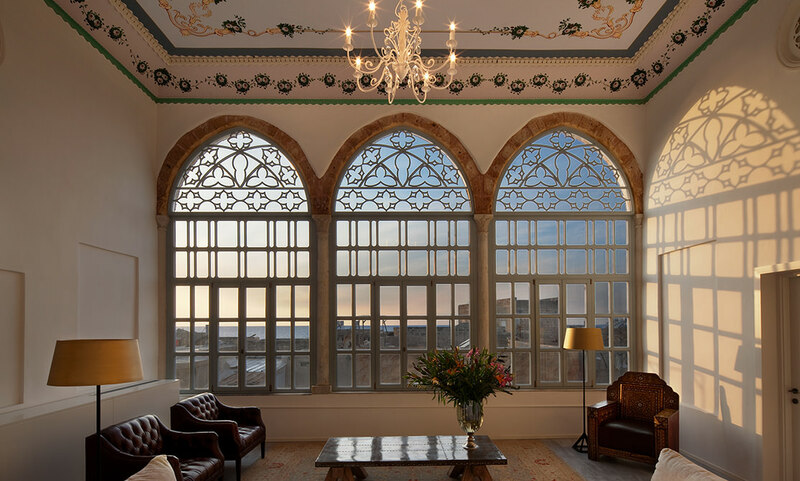 In 2007, he bought two former Ottoman villas in Acre’s Old City, and spent the next seven years renovating them, from the Byzantine and Crusader-era basement to the Muslim period on the next level, up to the carefully restored and painted ceilings dating to the Turkish era. The two buildings were eventually joined by a marble-floored hallway and now comprise the 12-room boutique hotel, complete with a Byzantine-era wine cellar, an original Turkish hammam (the treatments are divine) and a glorious roof deck overlooking the nearby sea. Only breakfast is served in the small, but intimate dining room, where guests share space at the long wooden table, but dinner is always available at Uri Buri, Jeremias’ eponymously named and famed seafood restaurant, just a few blocks away. Of course, major hotel chains can also ante up worthwhile stays in their larger, and often more anonymous accommodations. One of the local hotel chains worth noting is Isrotel, begun by English businessman David Lewis, who was asked in the eighties by Israel’s tourism ministry to consider opening a hotel in Eilat, in order to boost tourism to the seaside city. His first Eilat hotel was the King Solomon’s Palace Hotel, now known as Isrotel’s King Solomon. He went on to open eight other Isrotel hotels in Eilat, before heading slightly north and opening Ramon Inn in the desert town of Mizpe Ramon, and then creating the Isrotel Exclusive Collection, with five-star, luxury hotels that now include the Carmel Spa, Beresheet, Cramim and most recently, Jerusalem’s Orient Hotel. What’s unique about Isrotel hotels are their very Israeli details amidst the business of a luxury accommodation. The interior design of each hotel takes their locations into account, using the work of local artisans throughout each one. There are ceramic pieces throughout the hotel, made by an Israeli ceramicist, and used for serving up breakfast, drinking espresso or placing a bar of soap. The artworks hanging on the walls are also created by Israeli artists, and the menus — while never forgoing the standard Israeli breakfast — are also aligned to the location, with locally made cheeses, artisanal breads and other regional treats. 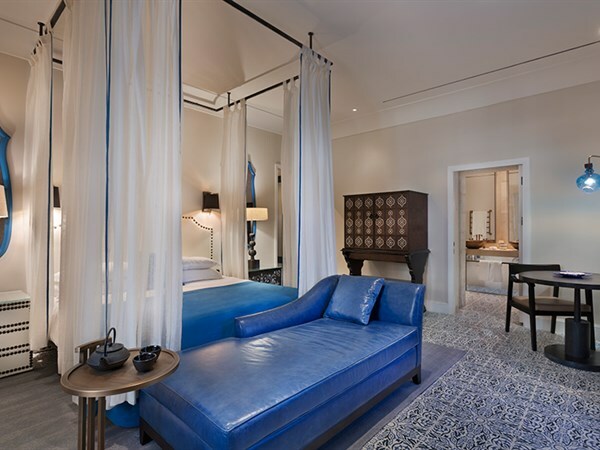 Their newest Jerusalem hotel, the Orient, includes two landmarked buildings from the German Templar era, now renovated as additional luxury accommodations for the hotel, including the original tiled floors, arched windows and other period accessories. It’s named for a local, nearby movie theater — now called the Smadar, but long called the Orient. But Isrotel’s new Herzliya hotel, Publica, is all for business folk doing work in the Silicon Wadi, with lobbies and rooms geared for laptop sessions and impromptu meetings. Still, there are yoga classes for those seeking some peace and quiet amid the noise of work and just a few blocks away, the Mediterranean Sea beckons, for anyone willing to take a quick dip. It’s all in the details. The Gvaot Boutique Winery in central Binyamin sits atop a hill, amongst its vineyards. The tastings were lovely, meeting the owner was wonderful and being out there was beautiful. The food, the history, the people and the goats are some of the reasons you should visit Jericho some time very soon. In Israel, every reason is a reason to party and Purim is the ultimate reason, bringing thousands to the streets in hilarious costumes for huge street carnivals and parties galore. The travel industry is becoming progressively more hi tech. 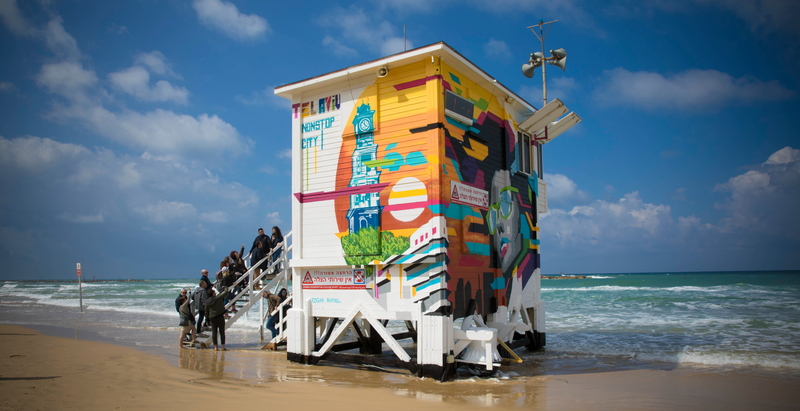 Here are a few of Israel’s coolest travel innovations that open up new options, giving you smooth sailing while abroad.